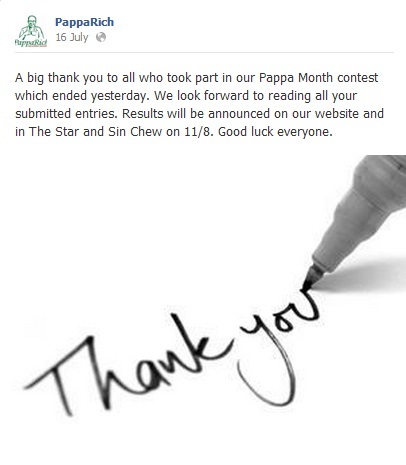 The social media team from PappaRich said that results would be published on The Star and Sin Chew newspaper, and also on their website on 11th August. ANXIOUS! Everyday I was doing a mental countdown. Why so excited, you ask. Because there was 30 iPads up for grabs, TWO for each winner. Gasp. Of course that makes only 15 winners instead of 30. 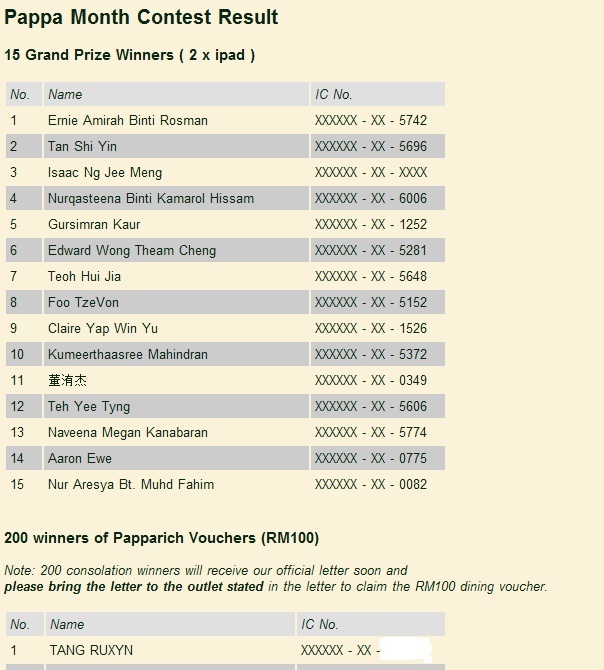 I scrolled down the Grand Prize winners' names.. Don't have my name. Big sigh. Not a sigh of relief though :( But to my horror, or rather feeling very very surprised.. I saw my name..
MY NAME WAS THE FIRST NAME AT THE CONSOLATION PART. OH WHYYYY?! Super zadao because I didn't thought I would have won consolation because at the back of my mind I was aiming for iPad. (lalalala~) But okay, I won consolation. 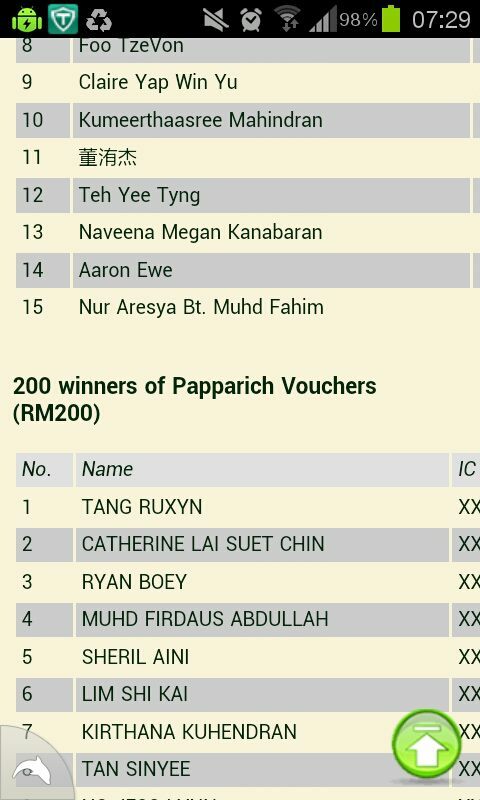 But why must be that my name is first in the list?! 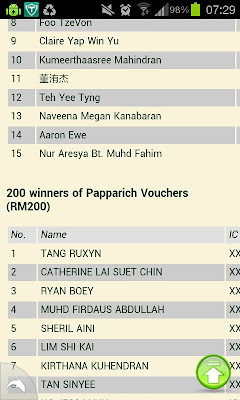 T_T Because it seems that I am so close yet so far from the Grand Prize. I don't mind being No. 15 ya know? :( Sobs. Oh ya. 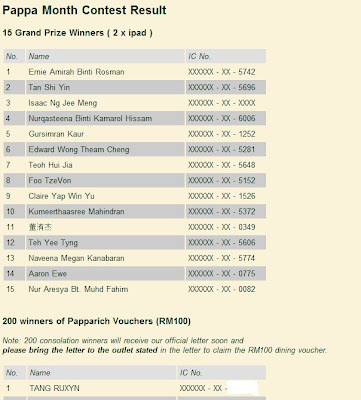 It's RM100 vouchers, not RM200 (compare screenshots with the one I made on my mobile). They rectified the mistake already. And I'm waiting for my letter now.